At Harvey's House Painting, our residential painting company is dedicated to providing quality interior and exterior house painting and friendly professional service at a competitive price in Roseville, CA. Whether you need an entire home painted inside or out, or just a simple project like a bedroom or accent wall, we are happy to talk to you about your project. Below we have summarized our residential painting services in Roseville, CA. If you do not see what you are looking for, just let us know, we will be happy to assist you. Harvey's House Painting has proudly painted homes, condominiums, and commercial properties throughout Roseville and Northern California for many years. We employ skilled painters who are committed to excellence. Most of our work comes from repeat customers and word of mouth referrals. Let us help you plan and execute your Roseville painting project with confidence. We are confident that you, too, will be satisfied with the quality of our work, the durability of our finish, and the lasting beauty of your Roseville home. We invite you to continue your tour of our website. Feel free to view our residential painting gallery. 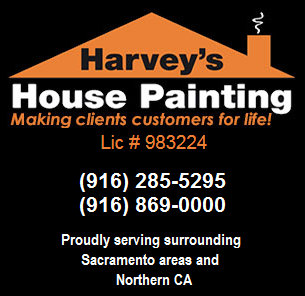 If you have any questions or would like to schedule an estimate, please contact Harvey's House Painting at 916-285-5295. As a business owner or building manager in Roseville, CA, you need to choose the right painter for your interior or exterior painting project. Not every painting company is equally qualified. It is important to choose carefully so that you can have confidence in the painting company you do select, and security in the knowledge that the end result will constitute a job well done. Our company is focused on quality. 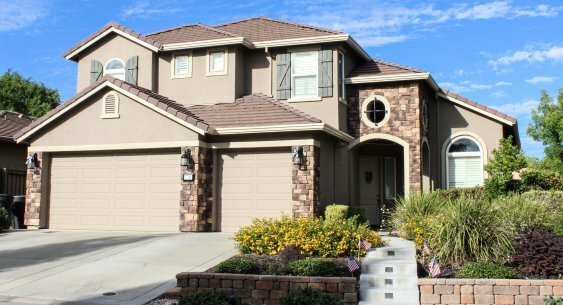 We manage every Roseville painting project from beginning to end. Our painting professionals provide numerous services including color consultation, helping you find the right color for your surroundings as well as upfront pricing, ensuring that you have access to a detailed plan with no hidden costs. Communication is key for us. We always make sure to stay in touch with clients, you deserve to know what is happening and when. Feel free to view our commercial painting gallery. For many years, Harvey's House Painting has been a reliable and trustworthy name in commercial painting services for Roseville, CA. From interior remodeling to exterior rebranding, we bring your plan to life with the right tools and techniques to get the job right the first time, saving you time and money. Harvey's House Painting is not just your ordinary painter with a can of paint and a brush. We are the trusted provider to many commercial properties throughout Roseville, CA, , and the surrounding area. Efficient and professional, we are prompt, predictable and prepared to get the job done at your convenience so your project is free of stress and hassle. painting service by contacting Harvey's House Painting in surrounding Roseville areas and Northern CA.